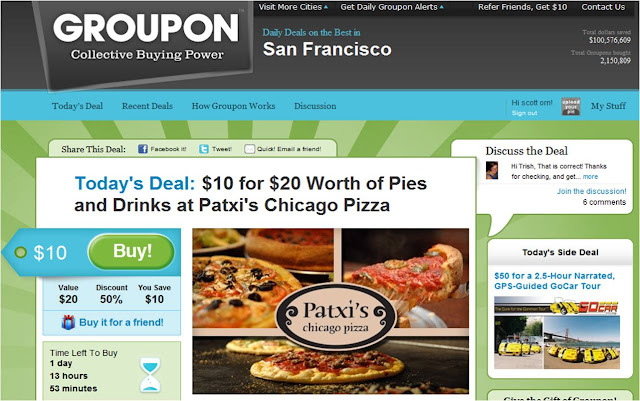 One of my favorite SF Pizza places, Patxi's, is doing a Groupon. The idea behind Groupon is they negotiate a heavily discounted coupon or credit from a business. The business likes it because Groupon delivers a ton of people to the place. Groupon's customers like it because they get a heck of a deal from the venues Groupon works with. Groupon takes a cut, of course. I just bought my first special, $20 of food at Patxi's for $10 at Groupon.